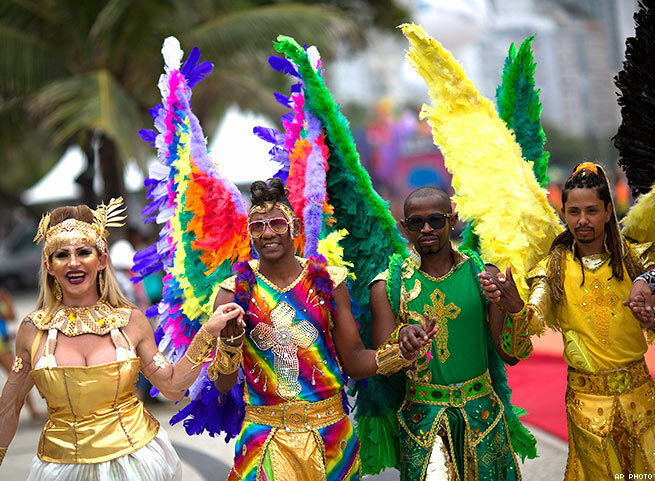 From the city that gives us the world famous Carnival, would we expect anything but fabulous glitz and glamor when it comes to their pride? 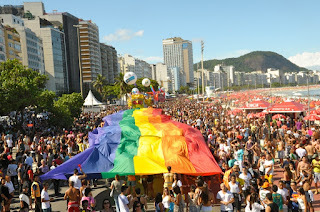 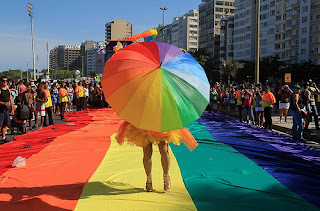 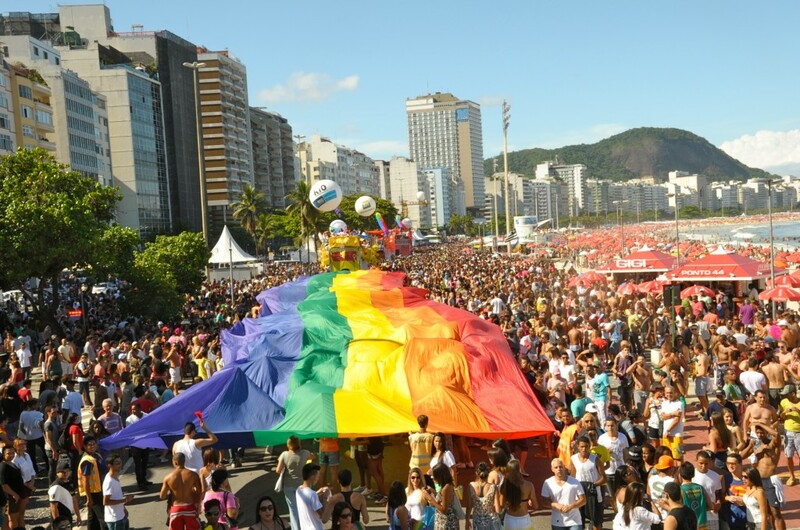 Rio de Janeiro LGBT Pride Parade celebrates 20 years! Taking place on the pristine Copacabana beach, tens of thousands pack together for a tropical and flamboyant parade precession making it one of the largest and wildest beach parties in Brazil and South America. 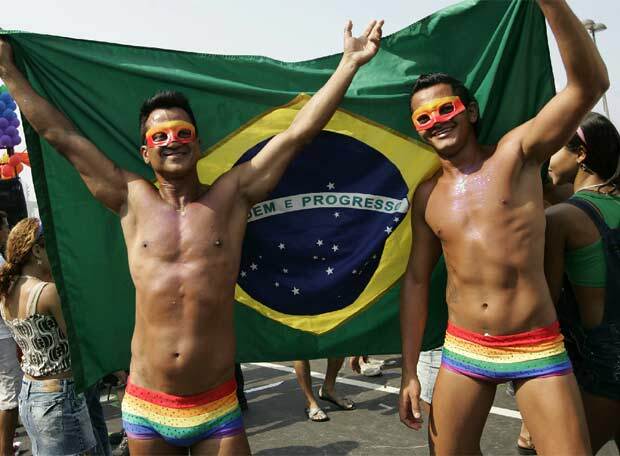 Steve Grand is dating... for one night! 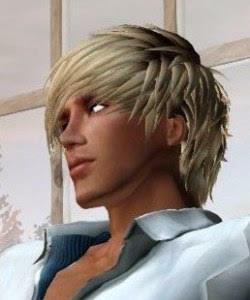 Nearly one million gays married at the U.S.